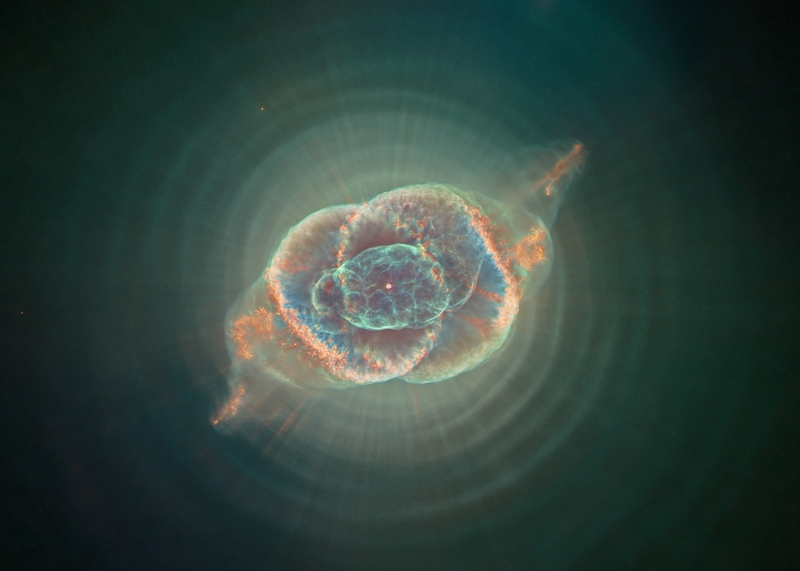 Explanation: Staring across interstellar space, the alluring Cat's Eye Nebula lies three thousand light-years from Earth. One of the most famous planetary nebulae in the sky, the Cat's Eye (NGC 6543) is over half a light-year across and represents a final, brief yet glorious phase in the life of a sun-like star. This nebula's dying central star may have produced the simple, outer pattern of dusty concentric shells by shrugging off outer layers in a series of regular convulsions. But the formation of the beautiful, more complex inner structures is not well understood. 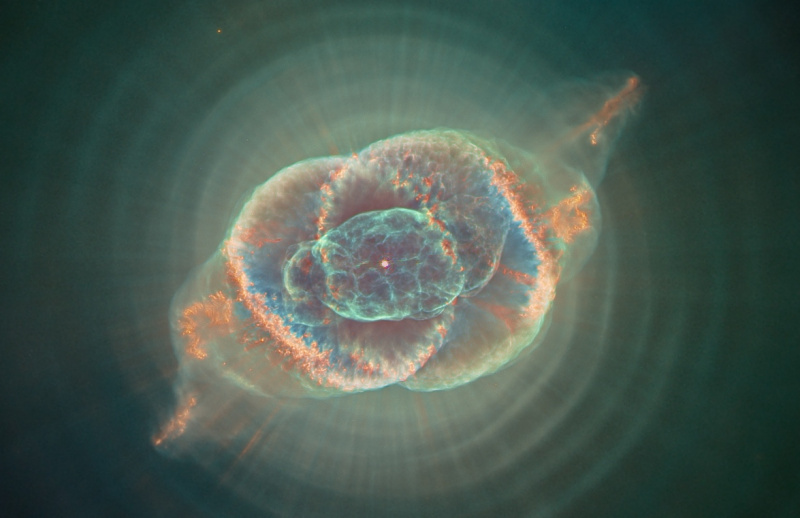 Here, Hubble Space Telescope archival image data has been reprocessed to create another look the cosmic cat's eye. Compared to well-known Hubble pictures, the alternative processing strives to sharpen and improve the visiblility of details in light and dark areas of the nebula and also applies a more complex color palette. Of course, gazing into the Cat's Eye, astronomers may well be seeing the fate of our Sun, destined to enter its own planetary nebula phase of evolution ... in about 5 billion years.